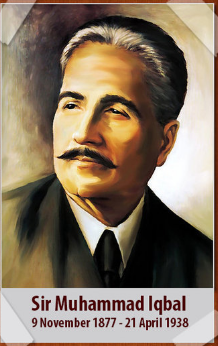 Iqbal Day is the birthday of Allama Muhammad Iqbal observed on 9th November every year. Celebrating Iqbal Day is, in fact, a recognition of his contributions for the Muslims of the subcontinent. Special functions held in institutions to commemorate the "Poet of the East." Allama Iqbal conceived the idea of Pakistan and is, therefore, regarded as one of the founding fathers of the country. His best literary works include Asrar-e-Khudi, Payam- i-Mashriq, Bang-i-Dara, Bal-i-Jibril, Zarb-i-Kalim and Armughan-e-Hijaz. He passed away in Lahore on April 21st, 1938.